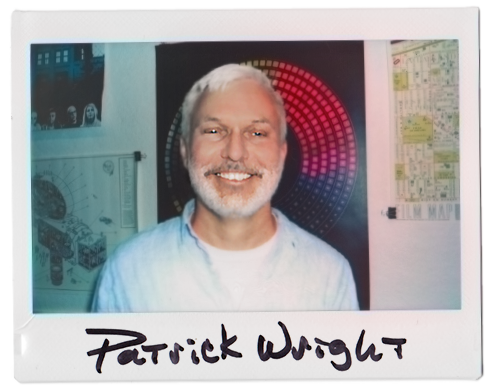 Patrick Wright is an instructor at MICA, and a New York-based filmmaker and editor. He has made films discussing HIV/AIDS, Clergy Sexual Abuse, and a profile of Ann Coulter, one of the most controversial political commentators of our day. Wright has co-produced the Oscar-winning short documentary, "Music by Prudence," as well as a number of short films that have screened in fine art galleries across the country, including Artist's Space in NYC. Wright edited the feature documentary Oyler, produced and directed by Amy Scott in association with Marketplace. Patrick was originally hired in the Photography Department with a mandate to develop a video major, which became a major in 2003. The Film and Video Department now has 40 undergraduate majors who produce video works in a wide range of forms, from narrative to documentary, experimental to installation work, and motion graphics to web-based multi-media projects.